Brisbane Junior Chess League Sunday 9am to noon. St Joseph's College, 285 Gregory Tce, Spring Hill. Rooms 5.5, 5.6, 5.7 Enter via Gregory Terrace or Victoria Street. Monday night chess by arrangement only. 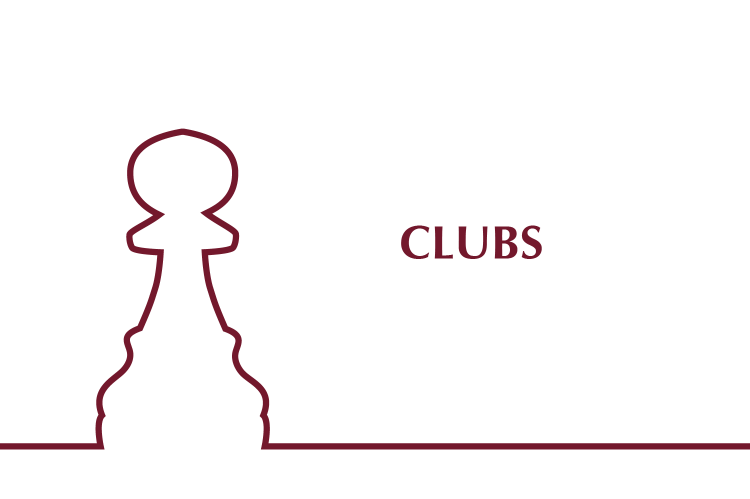 Chess for both adults and children on Wednesday nights from 6.30 pm. Nudgee College - Purton Science Building, Sandgate Road. 1.8 & 1.9 of the Martin Hansen Building CQ University, Bryan Jordan Drive, Gladstone. Nerang RSL Corporate Centre, 60 Nerang Street. Insurance Docs 18-19 for chess clubs affiliated with CAQ. To become and remain affiliated, clubs must also have at least five members, other than cadet members (under 12), who are also CAQ members. Complete the following steps to affiliate your club. Complete the application and mail to the Secretary at the address shown on the form, including your remittance for the affiliation fee. Note: The application is in PDF format, readable on all platforms using software such as Adobe Acrobat. If you do not have Acrobat or Acrobat Reader installed on your computer, first download and install a free copy of Acrobat Reader from the Adobe website.